Vegetable oils have been regarded as a new generation feedstock that requires strengthening and developing in the near future. In this book, various kinds of seed oil derived feedstock including, moringa oleifera seed oil, neem seed oil, calophyllum inophyllum seed oil, grape seed oil, argan oil and rubber seed oil are introduced in terms of their production, applications and development in a variety of sectors such as industries, healthcare, cosmetics, medicine or functional food, bio-pesticide and biofuels. These uses all bring considerable benefits to the economy, social development and environmental protection. 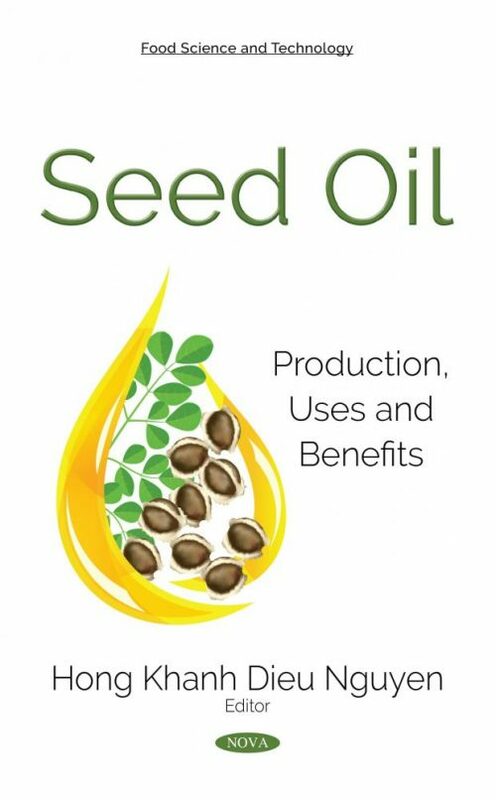 The book content reviews different aspects of refining and applying processes for each seed oil, as well as reveals a number of research results published by the authors of each chapter. Upon further consideration, all these seed oils are categorized as the second generation feedstock; they do not compete with food security and have higher productivity compared to the others. Therefore, they could play a crucial role in making new products like biofuels, green fuels and so on, enhancing the performance of the old products and processes such as synthetic pesticide production, hydraulic or lubricant application. Thus, they either partially or completely replace the improper feedstock, including fossil sources, first generation vegetable oils and fats, to name but a few.